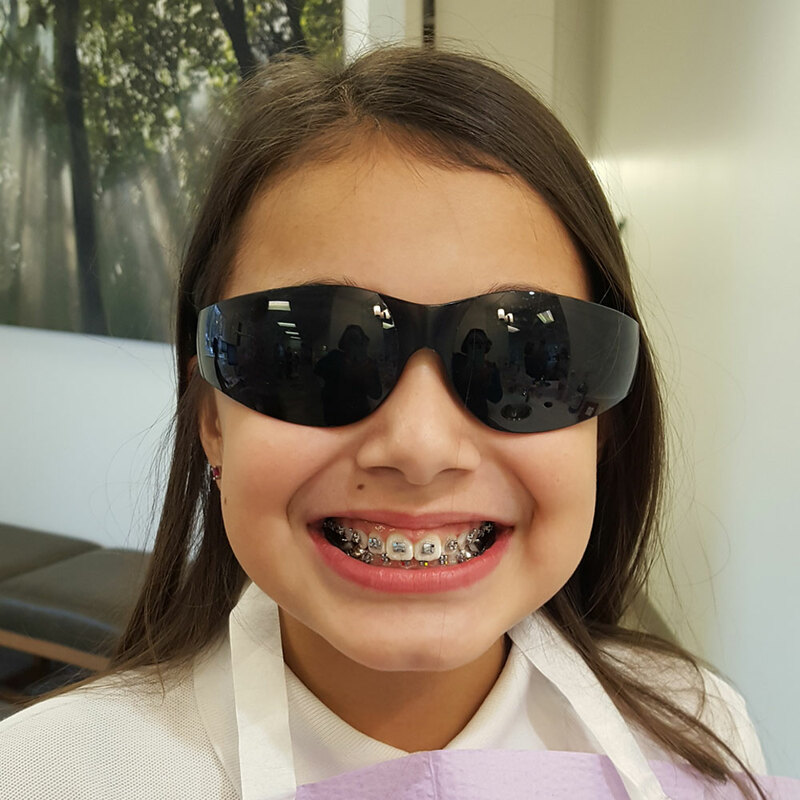 Watch our amazing patient Sophia get her braces. After overcoming some initial nervousness, she was laughing and even gave us a thumbs up part way through the process. 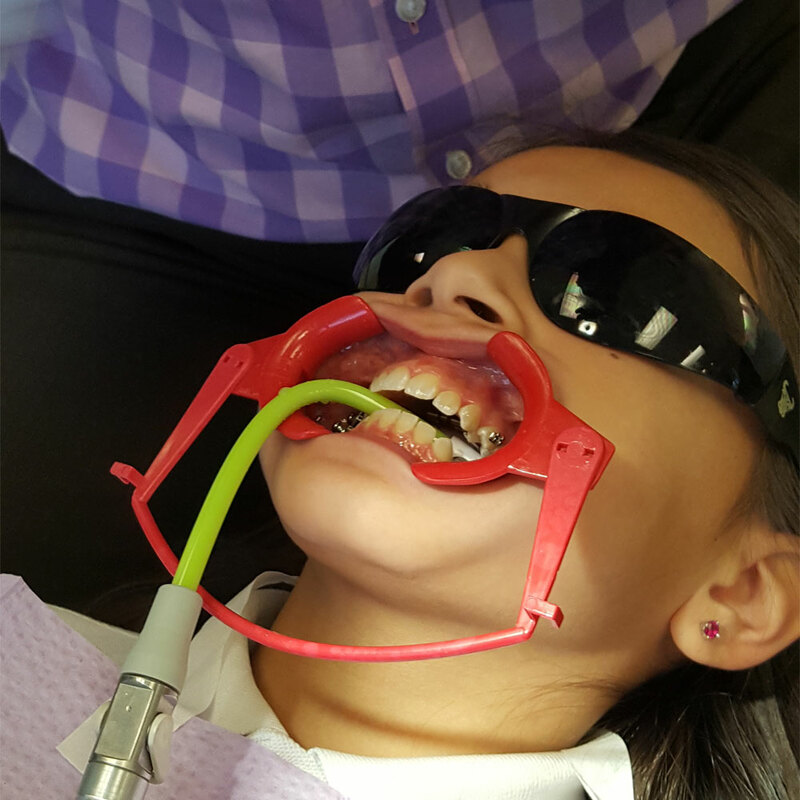 When Dr. Schruth places your braces at Rainier Valley Orthodontics we first use plastic lip retractors and a small suction straw to keep your mouth dry. Once the braces are carefully positioned by Dr. Schruth, we use a little glue that hardens once a light is directed at your mouth. In a short period of time, your braces are bonded to your teeth and you are on your way to a beautiful smile!